Ok so why do you need the wire? The wiring that is included with the siren and speaker kits are only about 1 ft from the siren and 1 ft from the speaker. Obviously you have to connect the two together. The speaker goes in the front of your vehicle. The siren goes in side and needs to connect to your speaker and the battery. So you need wire that goes from your siren to your speaker and your battery. 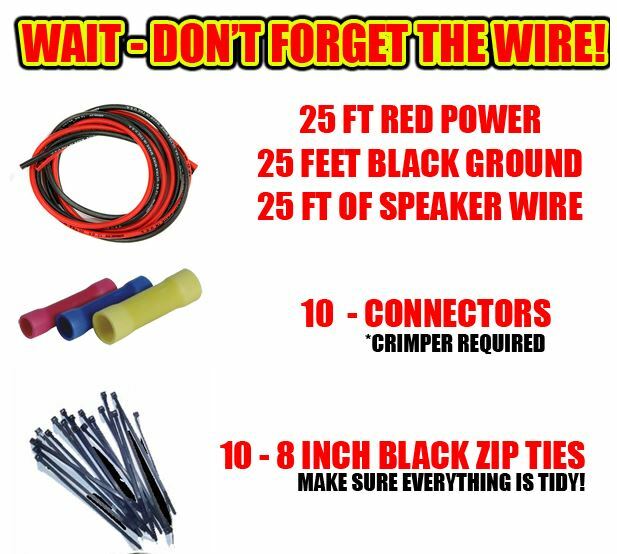 If you don't purchase this wire from us, then you must have your own wire in order to install your siren.